Purchase available recordings from 2018! This package includes all recorded podium presentations! 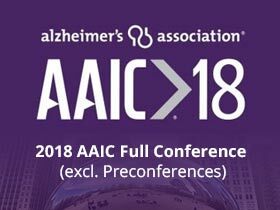 Visit the Media Shop and select the AAIC 2018 Conference Track for a complete list of sessions available in this package. 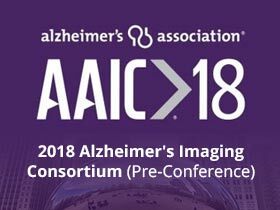 Purchase available recordings from the Alzheimer's Imaging Consortium (AIC), a pre-conference to the Alzheimer's Association International Conference (AAIC). Purchase the Dementia Care Research and Practice Sessions (DCRP) from AAIC. 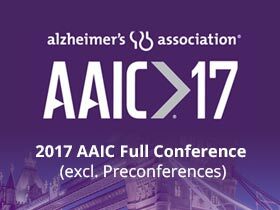 Discover the latest research and updates regarding epidemiology, health economics, policy and psychosocial factors related to dementia and innovative dementia care practices. Purchase all of the available recordings from 2017! This package includes all recorded Symposia, Featured Research Sessions and Oral Sessions! Click "More Details" for a complete list of sessions available in this package. Purchase the Alzheimer's Imaging Consortium (AIC), a preconference to the Alzheimer's Association International Conference (AAIC), will focus on the clinical application and methodological development of neuroimaging (MRI, PET, SPECT, CT and others) to Alzheimer's disease, other dementias and normal brain aging. 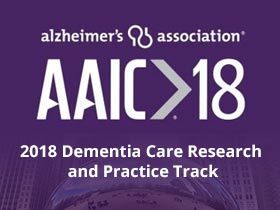 Purchase the Dementia Care Research and Practice Track (DCRP) from AAIC is the perfect place to discover the latest research and updates regarding epidemiology, health economics, policy and psychosocial factors related to dementia and innovative dementia care practices. 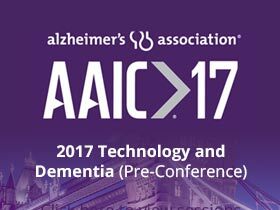 Purchase the Technology and Dementia Track, a preconference to the Alzheimer's Association International Conference (AAIC), convenes researchers using technological based research, including mobile technology, home-based technology and social networking, to apply innovative study design and potential solutions to Alzheimer's disease and related dementia research.